DJ & Kelley went on a Caribbean Cruise with Lori, James, Oliver, and Lucy. 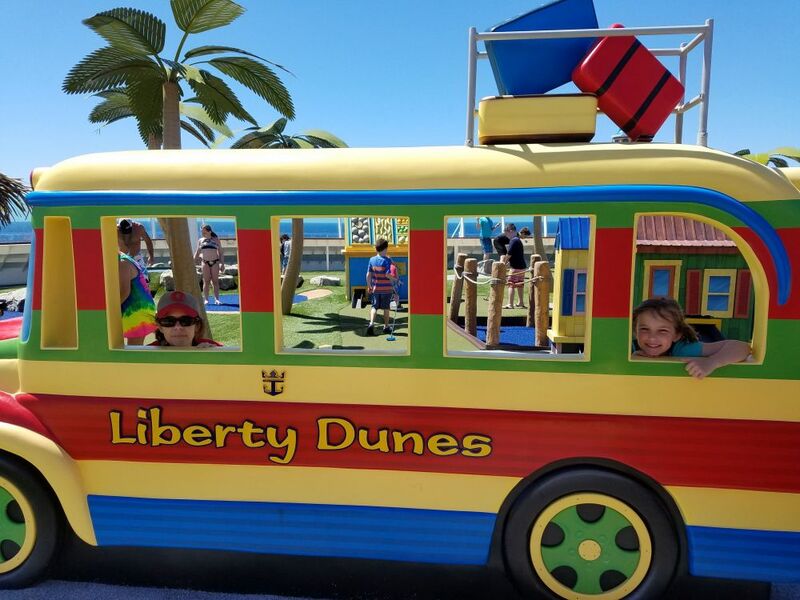 Kelley and Lucy ride the bus at Liberty Dunes, the on board mini-golf course on our cruise ship. It was ok, but for being on a cruise ship, it was neat.